Recent Projects - DB Custom Tool Inc.
DB Tools has an in-house staff of skilled machinists and precision equipment capabilities to provide high-value metal fabricating and tooling at outstanding quality, with on-time delivery. 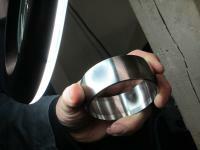 We will put our wide range of technical capabilities to work for you whatever your machine tool needs may be. Shown below are a few of the projects we have completed recently. On this project, the client required high surface finish. Have a project like this? Give us a call. DB Custom Tool can precision machine parts, big or small. 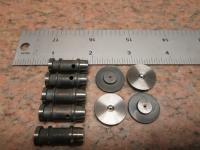 Shown here are valve parts – heat treated and ground to spec. Contact us to find out what we can do for you. Whatever material you have, we can precision machine it all. 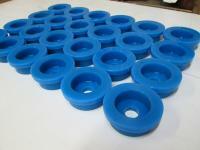 These plastic guide wheels were machined on a CNC Lathe to a bearing fit. 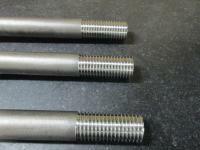 From basic machining to custom threading, we can produce whatever your project requires. Want more information about what DB Custom Tool can do for you? Contact us. 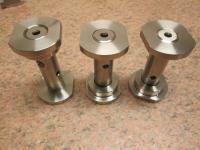 Samples of custom glass fitting – any size or shape, DB Custom Tool can get it done! Contact us to chat about your project.